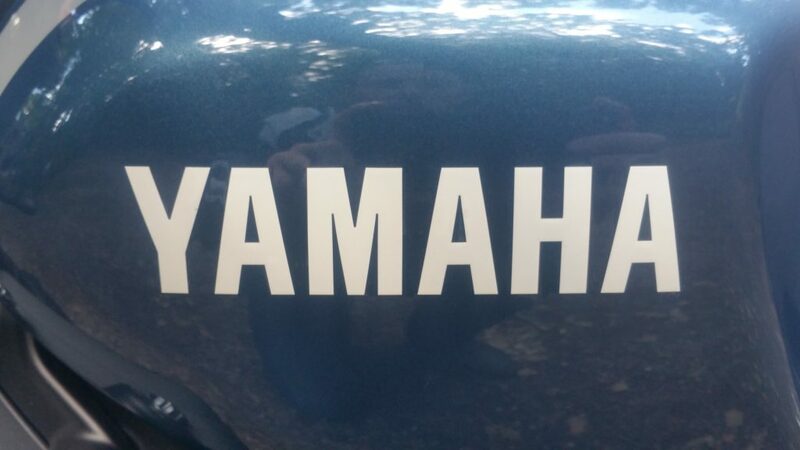 It has been a long time since I did a bike review, so I decided to head to my local Yamaha dealer and see what they had on demo and see what took my fancy. 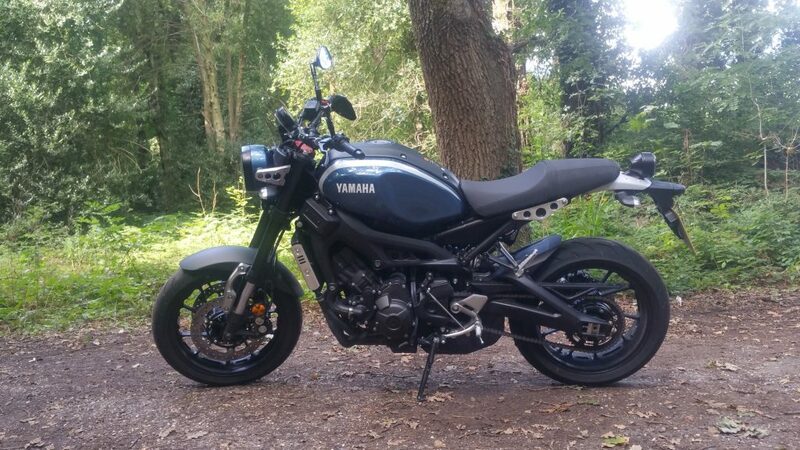 The Yamaha XSR900 was sat in the forecourt, and it was screaming at me to take it out for a blast, it was sat there all elegant with its retro looks and a slight twinkle in its headlight and I could not resist it. As I left the dealership, I was instantly reminded that this had power as my arms rapidly stretched and my head jolted, ok I am ready now let us try that again! First impressions of the Yamaha XSR900 is that you are sat quite high up, and in a good up right riding position, it is essentially a naked bike, and you get plenty of the wind in the face, but it is not buffeting you about though which is something. The first half an hour on any bike I tend to take it easy and see what it can do before I go charging off at warp speed and I was a little disheartened by the initial feel of the brakes, but then I am used to Brembos, so I put that aside. Once I had got a feel for the XSR900 I was happily pushing through corners and overtaking cars and other bikes. It was completely at ease with everything I through at it. Some bikes you are unsure how fast you are going and although the digital speedo is clear you dont need it as you know how fast your going with the amount of wind rushing past your head. The styling is very modern retro, and I like that, it is not trying to be a classic bike in anyway other than its looks, and its handling performance is not like any classic bike I have ridden. You can clearly see it wants to be a classic bike, but it is also saying that it wants to be in the 21st century and with the likes of the BMW RnineT and Triumph Bonneville the XSR really has a great place in the market. This bike is such good value for money, £8000 on the road and most dealers will do you a deal I am sure…. £8K is not a lot of money, and I mean it really is not that expensive I paid near twice that for my BMW XR and to be honest I can’t see where all that money has been spent. 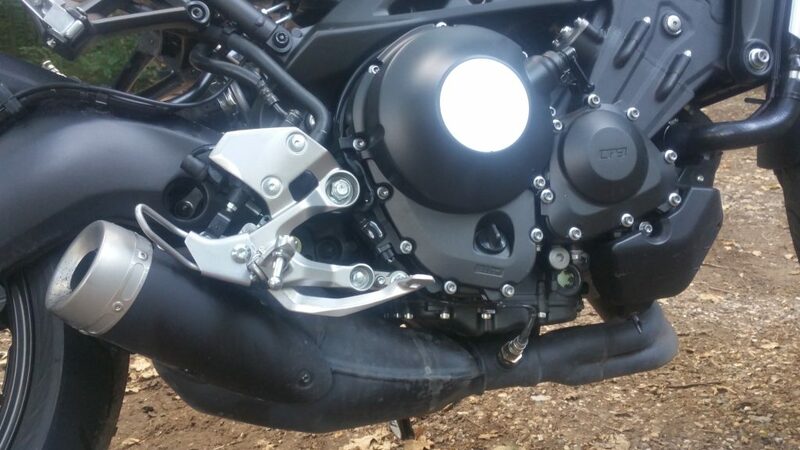 The Yamaha XSR900 is great value for money and providing the build quality is up to the standard I expect from Yamaha then I am sure that you won’t be disappointed. 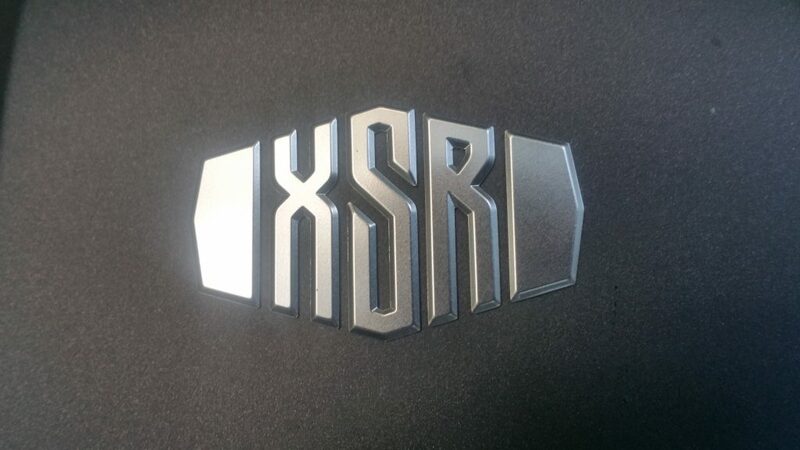 If you are looking for a used XSR900, then I had a quick look on eBay and saw a number of them for around the £6,000 mark which is not too bad. 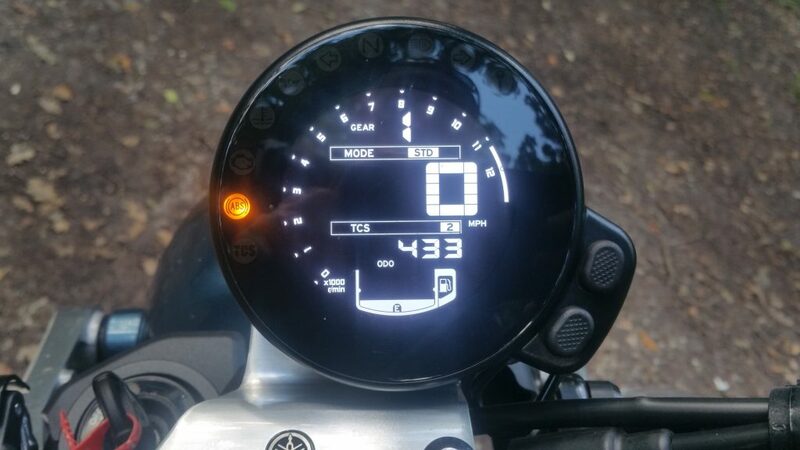 The demo bike I was on had 411 miles on the clock when I picked it up, and I was a little shocked to see the exhaust headers looking like they were discoloring, these are not stainless pipes, but I would have wanted them to last a little longer than 400 miles. But on the flip side they have made the exhaust look great and the styling they have hidden the huge Euro4 exhaust very well. 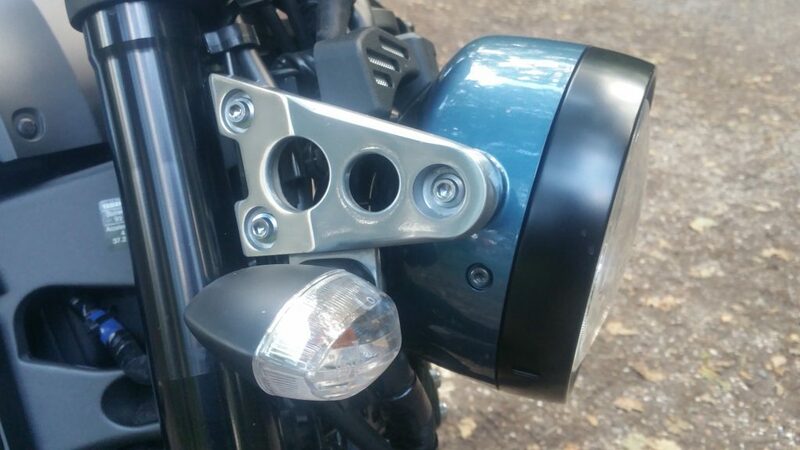 The rear light on the XSR900 is but ugly, and I mean it is like they forgot to add it in the design process and then just did anything to get it launched. 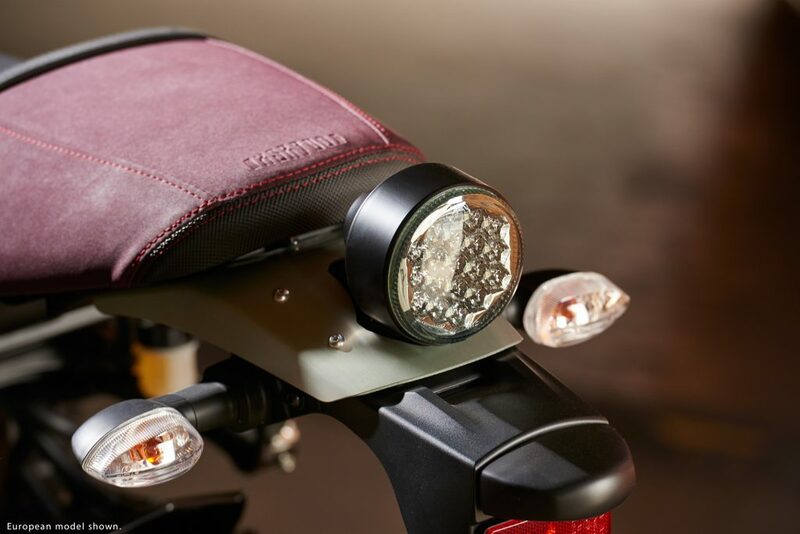 Thankfully there is some nice looking tail tidies that replace this light and make the back end look as elegant as the rest of the bike. The handling was pretty impressive, but the only thing that did put me off was that the throttle was quite loose and through the bends, it would rattle on the handlebar which was quite unnerving and took a lot of time to get used to. If it were my bike, I would be looking at a way to stop that entirely. 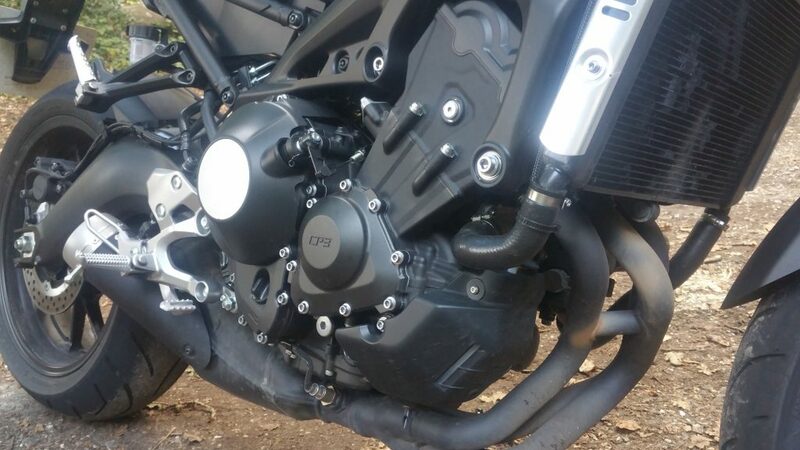 The XSR900 is producing 115 BHP at 10,000 rpm and 64.5 ft lbs of torque at 8500 rpm, and you can feel every single on of those horses and torque is impressive. I did not at any point run out of steam or have the desire for more of anything the XSR gave me exactly what I wanted as and when I wanted it, and it did it effortlessly. The suspension was somewhat hard, but I rather have a stiffer suspension, so you get a positive feel through the corners and great handling rather than try to wallow a bike through a bend and get bounced around the road. The Yamaha XSR900 road and handled exceptionally well with enough power and performance to keep you entertained for a long time. However, I am a little concerned that the build quality and specifically that exhaust discoloring would really annoy me and I would be throwing my toys out of the pram if it was mine. Subsequently the price for a little under £8K what do you expect, I don’t think I would have massive expectations, but on the other hand, you do need to give value and quality. If the Yamaha XSR900 floats your boat, then you need to take it out for a test ride and see for yourself. I am sure that the custom boys will be along soon enough and we will really start to see some awesome machines.